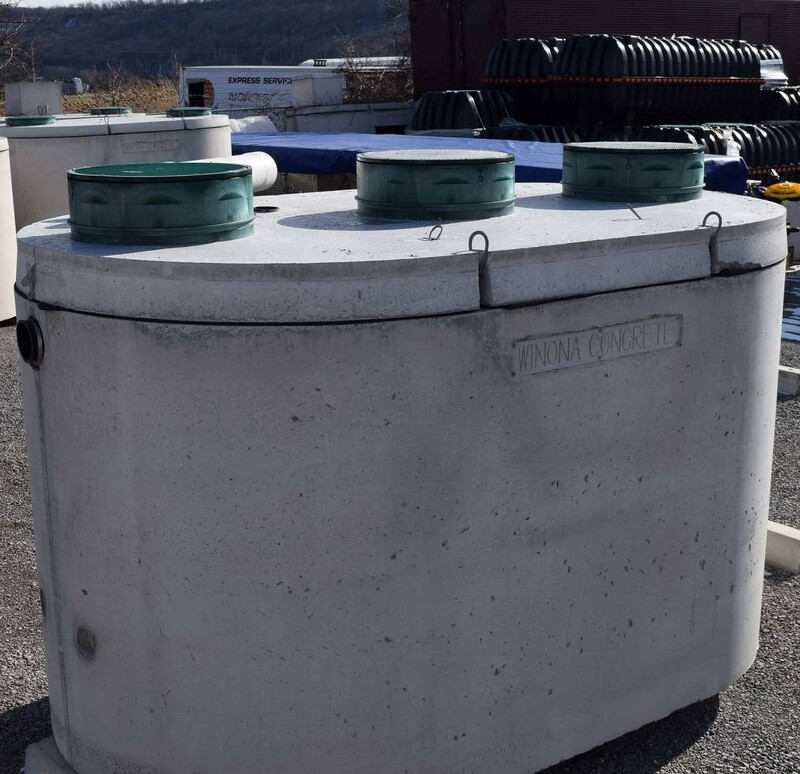 Winona's precast Oil Interceptors are built to provide a means by which oils (or other lighter than water liquids) may be separated from water. Winona's precast Oil Interceptors are built to provide a means by which oils (or other lighter than water liquids) may be separated from water. All interceptors are constructed with three compartments of equal volume, with the first compartment configured to allow for 24 inches of sludge accumulation. The capacity required for any oil interceptor will depend mainly on the design flow rate and the specific nature of the oil / water mixture.This is typically determined by specifying engineers &/or local jurisdictions. Winona's oil interceptors are designed for non-traffic loading areas. Standard configuration includes 20" dia 'PolyLok' Risers w/'PolyLok' heavy duty covers. Other riser/cover configurations are available upon request. -Flexible boots with stainless steel clamps cast into walls at inlet and outlet. -Cast-in-place 'PolyLok' access risers with heavy duty 'PolyLok' riser covers. -Oval shape, with minimum flat wall construction for inherent design strength. -Fully automated computerized low water-to-cement mix designs yeilding hig density, high strength concrete.